On Wednesday 13th November 1938, 50 miles off the west coast of Australia between Geraldton and Shark Bay the Kyo Maru a 385 ton Japanese Whale chaser experienced boiler problems, and called for urgent assistance. The British built Centaur a Blue Funnel Cargo Vessel which was then on a Western Australian coastal run rushed at full speed to assist, Centaur’s reaction was a resounding success by saving the vessel and all crew. The Kyo Maru was commissioned into the Imperial Japanese Navy on the 2nd of March 1942 and was sunk just outside Subic Bay by Bataan based USAAF P-40 Warhawks. 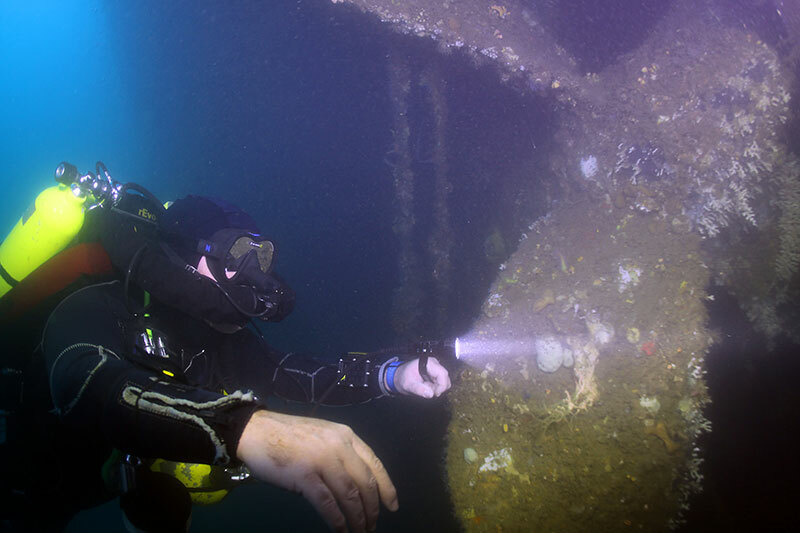 Resting at 69 m, the Kyo Maru Dive Site in Subic Bay is now a favoured training dive for trimix courses and a preserved piece of history. With it’s resting place too deep for local salvage operations, the ship has an abundance of radio equipment, copper wire and all its ancillaries in place such as windless and the anchor. The Kyo is broken in 2 pieces but otherwise fairly intact. The wreck is also home to many big grouper, lapu lapu and jackfish. With the Kyo Maru Dive Site in Subic Bay location outside the bay the dive is often done in bluewater and making for a nice decompression ride. Kyo Maru Dive Site in Subic Bay is another highly recommended dive. Are You Ready to Book Your Diving Holiday? If you’re ready to choose your scuba diving adventure in Subic Bay, then click here to get started.